Troy Harrison has been developing winning sales forces for over 15 years, first as a sales manager, and then as a sales management consultant. In that time, he spotted one big weakness in sales management: There are precious few books available on what he feels is one of the most important jobs in any company, and the ones that are out there tend to not only overcomplicate the duties, but focus too much on administration – when the people skills are what really makes a winning Sales Manager. He’s decided to address this, and his new book, The Pocket Sales Manager, is his offering to sales managers both new and inexperienced who want to understand how to use their position to build strong, powerful, profitable, and productive sales forces. For Harrison, the challenge was to distill down the knowledge and techniques needed into easy to digest chapters – and he did it in only 72 pages. 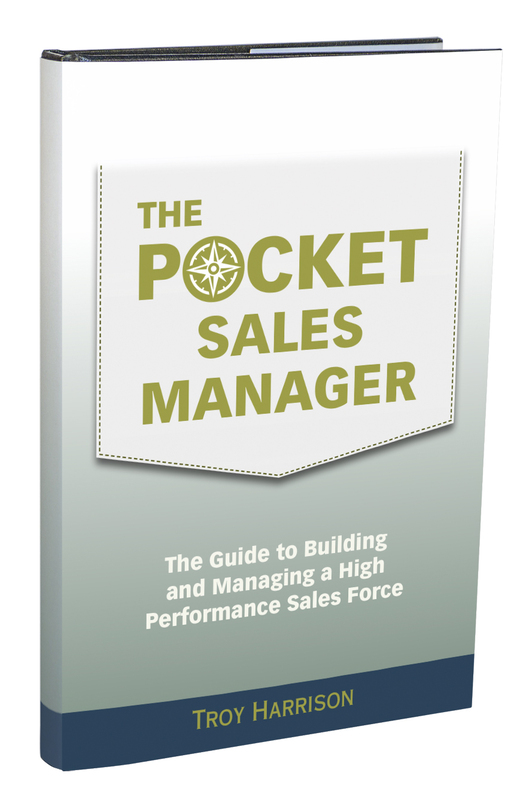 The Pocket Sales Manager covers all phases of sales management, from evaluation of the salespeople and processes, through hiring, training, coaching, and accountability. The price is only $10, and it’s available on the author’s Website at www.TroyHarrison.com. ARE YOU THE TYPE OF PERSON WHO LIKES TO TAKE THINGS TO THE NEXT LEVEL? If you are, we've developed a product just for you! Troy Harrison has taken "The Pocket Sales Manager" to the next level by developing an audio training course as a companion to this book. You get the book, an audio training course, and a workbook for only $98! Click HERE to learn more. Troy Harrison is “The Sales Navigator,” working with companies from coast to coast to train and develop salespeople and strong sales managers. His previous book, Sell Like You Mean It, is a consistent seller, and was an Axiom Business Book of the Year nominee.